JD Sports Fashion is the UK’s number one specialist retailer of both branded and own-brand sports and fashion wear for the entire family. Established in 1981, JD Sports Fashion has grown rapidly to over 400 stores across the UK and the Republic of Ireland. JD’s growth since being listed on the UK Stock Market in 1996 has been meteoric, with the acquisition and consolidation of Scotts and Bank Fashion. Currently, over 1,300 Skorpio mobile computers have been installed in JD Sports Fashion stores across the UK and Ireland. Datalogic ADC has been a long established partner of JD Sports Fashion since the introduction of over 400 rugged mobile computers for use in JD’s Distribution Centers since 2002. At that time, JD did not have any store management devices. When the decision came to look at automating store operations, JD turned to Datalogic to recommend an appropriate mobile device and solution. 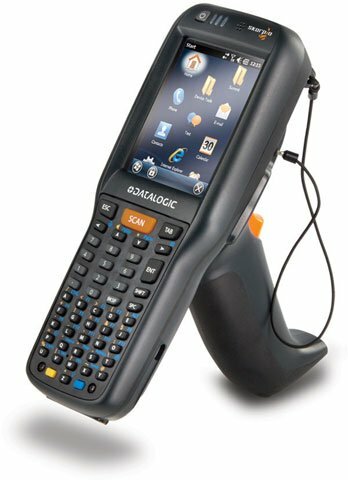 JD evaluated a number of leading handheld terminals. The Skorpio mobile computer was selected with its outstanding combination of compact ergonomics, rugged design and the use of Datalogic’s patented ‘Green Spot’ for good-read feedback. The ‘Green Spot’ was particularly important in the overall solution, as it was shown to improve efficiency and productivity of operators. Using the device in-store, the users receive a visual confirmation with a green spot on the bar code when an item is correctly scanned, thus expediting the scanning process while ensuring minimal misreads. JD Sports Fashion runs a series of complex system applications on the Skorpio mobile computer. Traditional applications such as inventory tracking, inter-store transfers and price markdowns are conducted. The Cisco WLAN network installed to support the system is used not only to ensure that real-time data is available on the Skorpio mobile computers, but to also communicate with wireless printers. Advanced functionality also includes an ‘assisted sales’ feature which empowers the store operator. In the case of a customer requesting an out of stock item in one of their stores, the operator can instantly advise the customer of the nearest JD Sports Fashion store where the item is available. Another important feature of the Skorpio mobile computer is the ability of a store manager to scan a wall fixture and see which fashion lines are selling well in a store, creating the ability of that store to move fast-moving lines to the front of a store and slower lines to the back, optimizing each individual store to maximize sales for the customer base in each stores’ area. Ensign, a leading systems integrator and wireless solution provider, was chosen to supply a managed service solution, which included the supply and installation of the Skorpio mobile computers, the wireless networks across the entire JD Sports stores, a wireless mobile printer and ongoing support. The system has proved to be such a big success, that it is now rolled out across all the facets in the JD Sports Fashion group, which include JD, Bank and Size. In total, over 1,300 Datalogic Skorpio mobile computers have been deployed. Store operators love using the system as it makes their job easier. Customers too are appreciating the benefits with an improved shopping experience. “There were a number of factors that influenced our decision to introduce the solution that we now have. The ‘Green Spot’ confirmation of successful scanning meant that there was no interruption to continual scanning activity, the ergonomic design of the unit was key and the trust that we had in Datalogic ADC and Ensign to deliver a solution that continues to meet our business requirements both at store and in the warehouse environment. The accuracy/efficiency that we have seen, particularly in preparation for sales and stock takes have resulted in freeing up staff resources to spend more time on the shop floor and further insure that the customer receives the best possible experience and most accurate information available. We are constantly developing the functionality of the Skorpio mobile computers. If we can cut down on the time spent away from the shop floor or doing what was traditionally paper-based or labor-intensive, then our internal development team will write a solution for the activity and deploy it via the Skorpio mobile computer.” Shaun Armstrong, IT Projects Manager, JD Sports Fashion.